After some time trying to get time to finish it, it is already a reality. 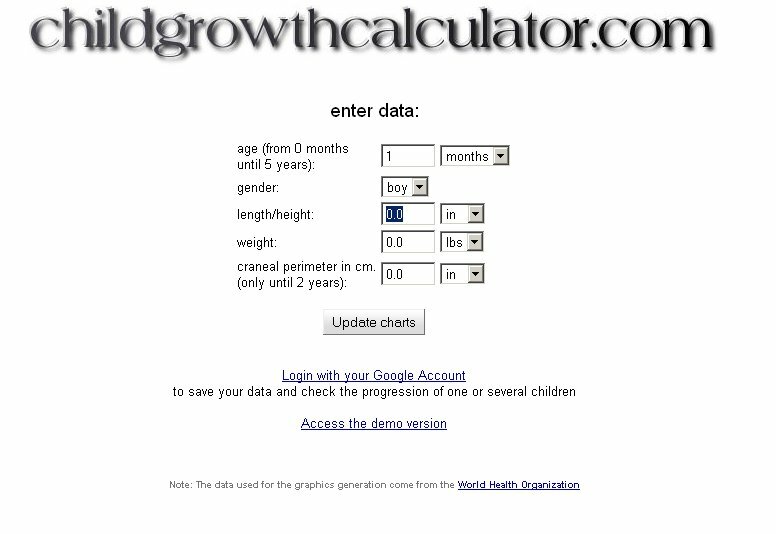 Let me introduce you to the Child Growth Calculator page. 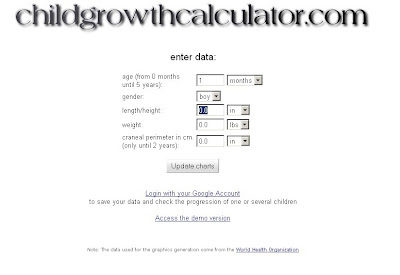 You can calculate your child's percentile using the World Health Organization data for length/height, weight and craneal perimeter. You can save your child's measurements for future reference. You can see graphically the evolution of the percentile over time, so that you can detect any growth abnormality as soon as possible. Please let me know about any improvement you can think of or anything you consider unclear in the page.